Canned Apricots 3 Ways & Slow Cooker Giveaway! I am obsessed with Fall. But (and I can’t believe I’m going to utter these words), there are some things I don’t like about this season. I feel like a Fall traitor. You see, I don’t like that suddenly all of the glorious fresh fruit we’ve enjoyed all summer long has disappeared. And between buying back-to-school clothes and gearing up for the holidays, I REALLY don’t like how much money seems to ‘fall’ (like how I did that there 😉 ) out of my wallet just as the leaves are falling to the ground. 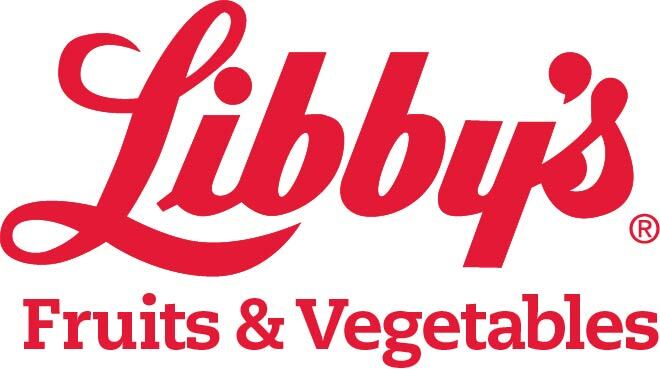 So, when Libby’s Fruits and Vegetables asked me to partner with them in their pursuit of helping families solve their Dinner Dilemmas and Get Back to the Table I jumped at the chance! It’s hard coming up with healthy meals every night, isn’t it? I know I struggle with this! And not only do I want my family eating healthy meals, I don’t want to pass out from shock at the cash register when I see the total for my grocery bill! So, today I’m excited to share with you 3 fun, new ways to use canned fruit. These recipes are easy to make and easy on the budget. And they didn’t last long in my house! Look at the color of those canned apricots? Seriously this was the most “fresh” canned fruit I’ve ever used! And the best part is that there is no added sugar. Yep. NO SUGAR! Just all natural goodness. 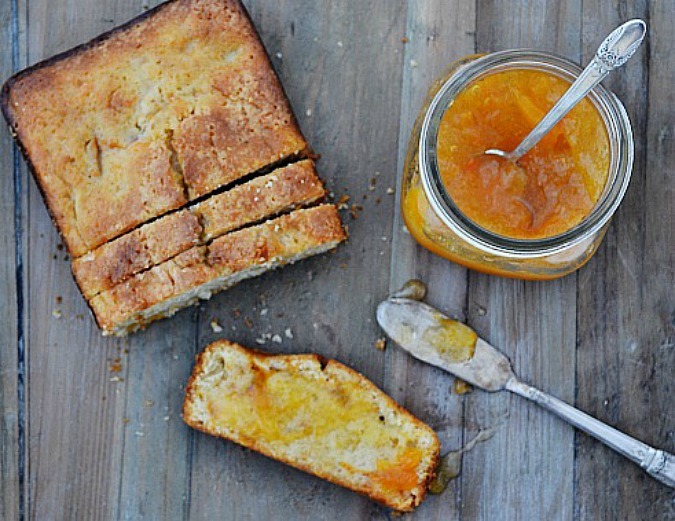 We are a bread lovin’ family so using the canned apricots to make Apricot Bread seemed like a no-brainer. And this is now our new favorite! We may or may not have finished almost an entire loaf in 2 days. Can I just tell you that this is the best smelling photo shoot I’ve ever had? I mean, don’t you wish you had smell-a-vision…or…err…smell-a-monitor right now? Now, I have a confession. I’ve never made jam before. EVER. I know, I know, how on earth did I get to be almost 40 and have never made jam? Especially considering how much I love it! It’s just always seemed so intimidating to me. And complicated. And messy. And exhausting! So I decided that for my first time I would go the “freezer jam” route. And let me tell you people, if it’s wrong to want to spread Apricot Ginger Freezer Jam on everything then I don’t want to be right! Of course, when you are already so in love with all things apricot, you just have to take it to the next level, right? And we all know that everything’s better in a mason jar! 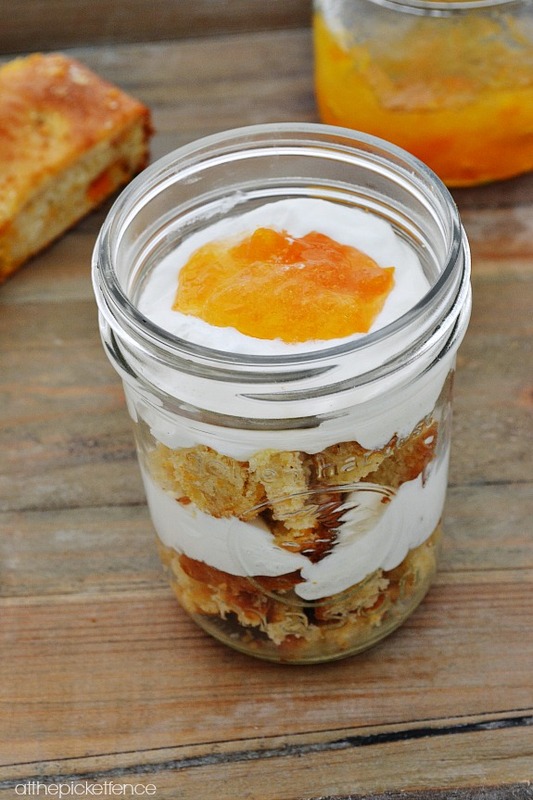 So, here’s my Apricot Trifle in a Mason Jar. I am all about having things be multi-functional and this dessert fit that bill. Layers of cubed apricot bread and whipped cream are topped with a dab of warm apricot jam. Decadent? Yes. Affordable? Yes. Easy? Yes. Gone in 30 seconds flat? YES! There you have it my friends! 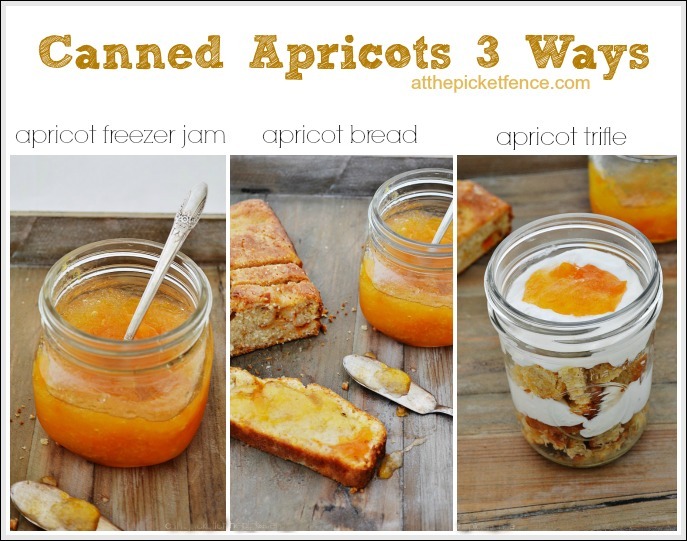 Canned Apricots 3 ways! Now, how about we give you a chance to win a fantastic prize?! 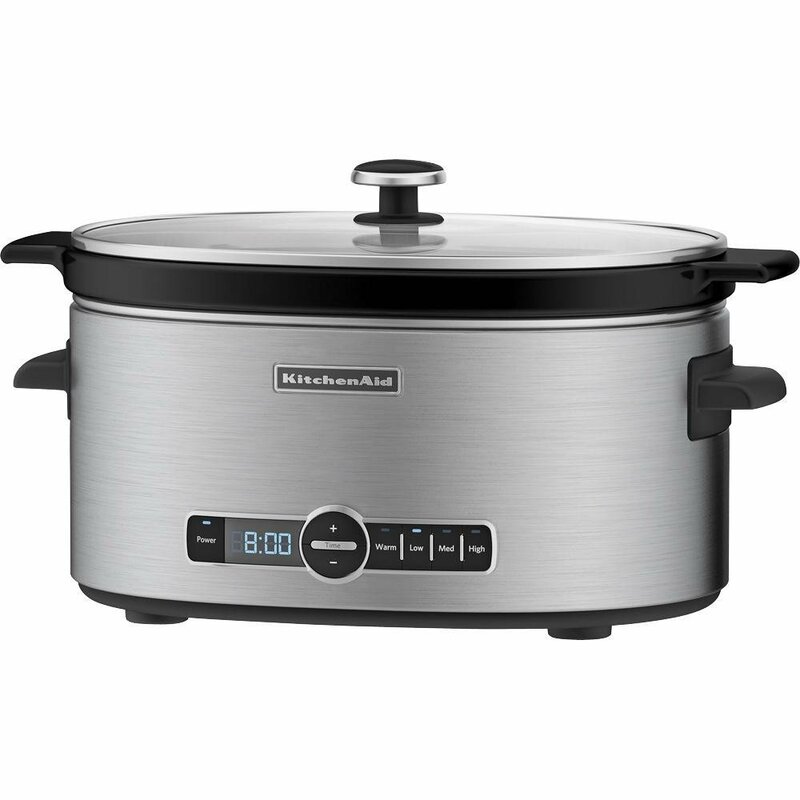 The winner of this giveaway will receive this beautiful KitchenAid Slow Cooker with Glass Lid and 24 hour programming PLUS an assortment of Libby’s Fruits and Vegetables products! 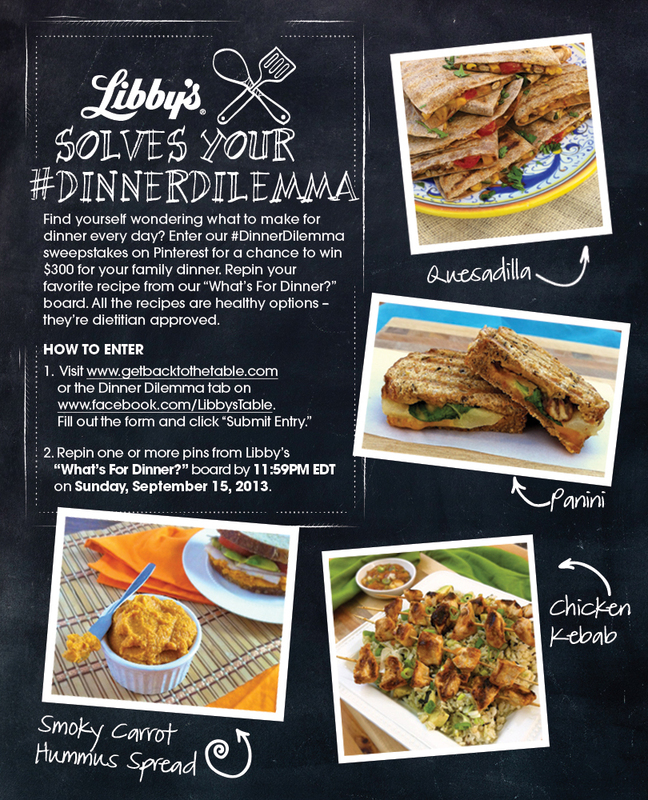 Visit Libby’s for more recipes, tips and ideas to help your family Get Back to the Table AND to enter the Libby’s Solves Your #DinnerDilemma $300 Pinterest Sweepstakes! Good luck and happy meal planning from my apricot-obsessed family to yours! 130 Comments on "Canned Apricots 3 Ways & Slow Cooker Giveaway!" Wow! That apricot bread looks amazing! My mom wants a slow cooker so bad. Thank you for the giveaway! Fall and winter are my favorite times to use a slow cooker. This one looks fabulous! Thanks for the chance to win. 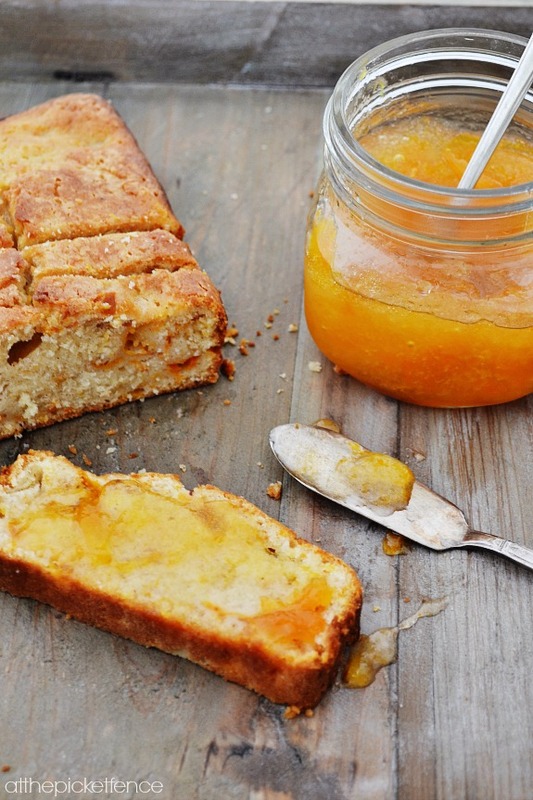 I am definitely ready for Fall with this Apricot bread recipe. It looks delicious! Great giveaway. I am going to try this bread and the jam possibly. I just made strawberry freezer jam and it is delicious. The slow cooker looks beautiful! Thanks so much! Thank you for providing such delicious recipes! I especially liked your suggestion for combining them in the trifle. You have made me re-think the versatility of canned fruit. 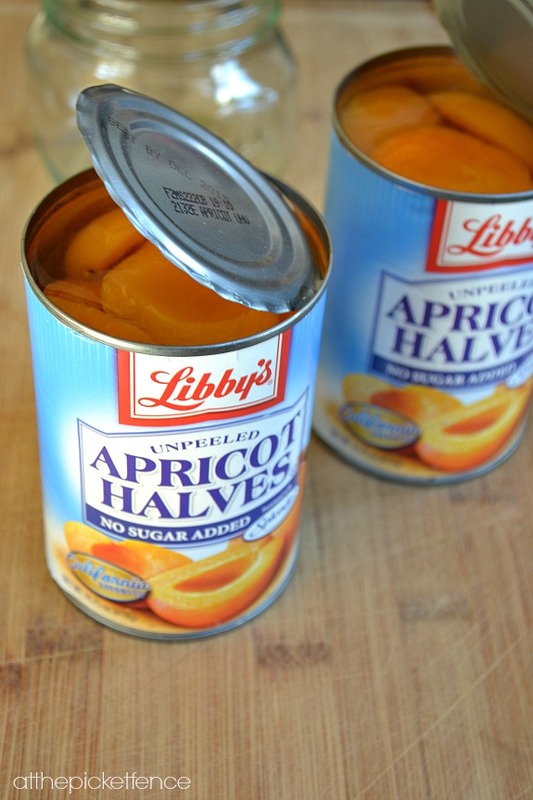 Canned apricots – 3 ways, what more can we ask for.. thanks for the giveaway. I think I’m gonna have to try that bread recipe! Love the bread recipe with the apricots! Can’t wait to try! Fall and winter are my most favorite times to use a slow cooker. Thanks for the chance to win!!! I haven’t had apricot bread or jam in such a long time…sigh. Lovely giveaway! My mouth is watering. I’m putting this on my to-do list this week. Thanks for the ideas. Love your blog!! I was just telling my husband last night that we need a new crockpot, ours is literally 25 years old! Had all kinds of fruited breads, but never apricot. Can’t wait to try it. I would Love to cook my Family a Delectable Beef Stew in that baby, I want it!!!!! Love the apricot recipes, can’t wait to try them. All of your apricot recipes look so yummy! Sometimes it’s tricky finding fruit canned without sugar; I’m glad Libby offers it. This would be great since my slow cooker broke on me last year! Slow cooker would be very handy for fall and winter. Thanks so much for sharing these delicious recipes!!! 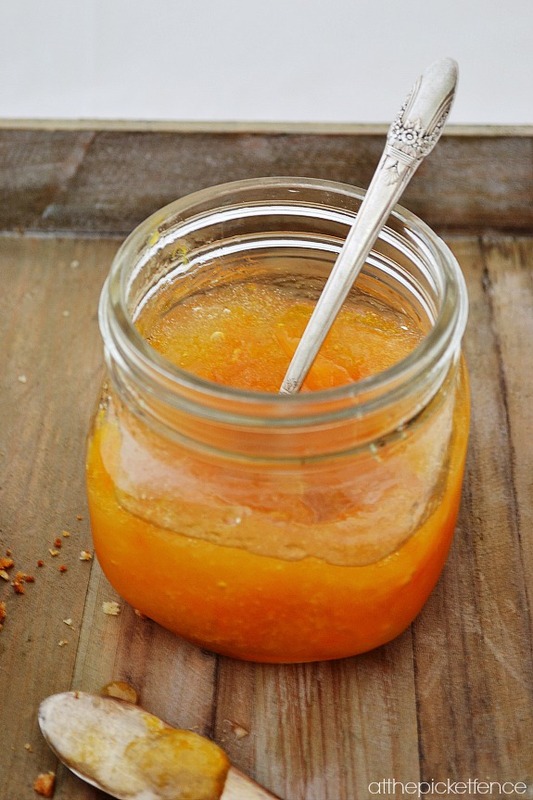 i love apricot jam so that is getting pinned! Would love that crockpot!!! Apricots are yum. Reminds me of my Mama’s cooking! Love meals from the slow cooker! I LOVE LOVE LOVE Apricots. I remember my Strawberry Shortcake Doll, Apricot. I would Smell and Smell her all day!! All of these look and sound so Yummy! What an awesome Giveaway! A crock-pot?! Perfect give-away for our first day of school. This blog is rad. Yum!!! Love these great recipe ideas 🙂 I’d love to win that slow cooker! All of those things sound delicious – especially the bread. I love apricot jam. Thank you for the giveaway! That is a fancy slow cooker! I would love to win it! Thanks so much for the chance. Looks like a great slow cooker!!! I love apricot in anything. All the recipes sound delicious, can’t wait to try them. Thanks for the giveaway. Apricots smell like sunshine! The jam looks amazing. And thank you for the giveaway. What an awesome giveaway! That jam does look yummy! Love your photos and wish I could reach through my screen and grab a bite 🙂 Fingers crossed I win! The bread sounds wonderful! Thanks for the chance! Recipes look delicious. Can’t wait to try . Slow cooker is a woman’s best friend when it comes to preparing meals for your family and wanting to spend extra time with your family and not in the kitchen. Hope I win. I would love to have this! wow, so many yummy ways to use apricots. I am thinking of making some of them. Can’t wait to try these recipes out for myself. Yum yum. Thanks for sharing.